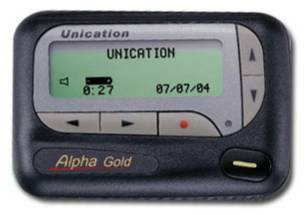 When used in facilities, this pager is known by several model names: Alpha, Elegant, Gold, and Legend Plus. It is also nearly identical to the Motorola Advisor II. The Legend Plus automatically detects and switches between WB and NB.